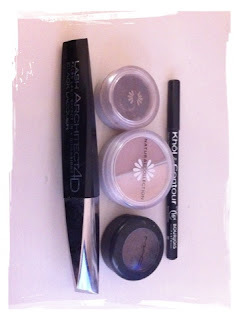 I thought I would share with you My Must Have's! 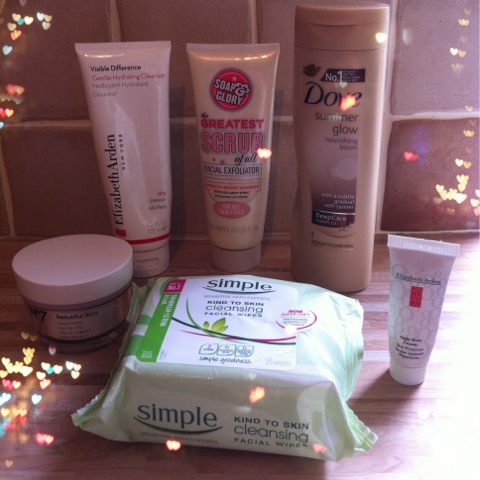 These are all the products I just can't live without. 1. Simple, kind to skin cleansing facial wipes. There's nothing better than taking your makeup off, it's the most amazing feeling in the world :-) These are really kind to sensitive skin. 2.Elizabeth Arden, Visible Difference gentle hydrating cleanser for Dry skin. If your like me and have sensitive but dry skin this cleanser is wonderful. 3. Soap & glory, the greatest scrub of all facial exfoliator. As I have dry skin it sometimes gets flaky around my chin and nose so this exfoliator is very gentle but works a treat. Best exfoliator I have ever used! 4. No7 beautiful skin Day Cream normal/dry. 4. Elizabeth Arden eight hour cream. Everyone must have one! I can't stress enough how amazing this cream is, it's a miracle cream. If you have any dry patches, spots, cold sores, dry lips, cuts then use this, it's brilliant I carry this with me in my handbag. 5. Dove, summer glow nourishing lotion self tanner, medium to dark skin. I have just dyed my hair darker so it makes me look a bit washed out. Normally if I use self tanner on my face it gives me spots but this one has really worked for me. It's a gradually tanner so I applied it in the morning for 3 days and everyone commented on my natural tan. I applied it to my face and body. It has been voted No1 self tan in the UK. 6. L'oreal Studio Secrets Professional Primer. This Primmer really works and makes your skin supper soft and even. 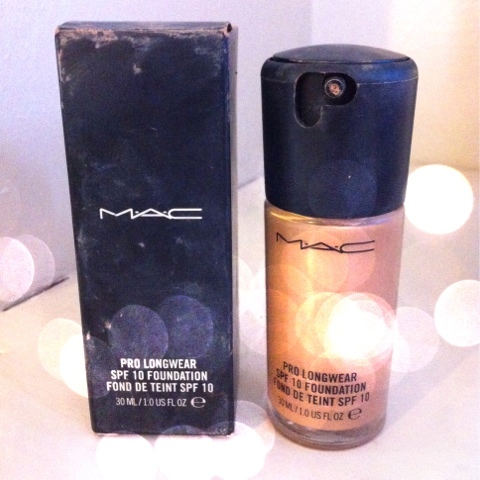 After first wearing Mac foundation 3 years ago I wont wear anything else, its Fantastic. It stays on all day. 8. 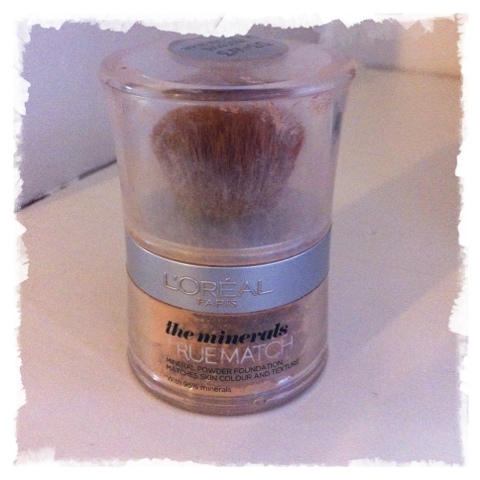 L'oreal Truematch Mineral Powder foundation, Golden Beige. I like to put a powder foundation over my liquid foundation I feel it gives more of an even finish. I was in a rush when I picked this up from Boots and I think the colour is a little dark for me but as Im wearing fake tan at the moment it seems ok. When It runs out I'll get the shade lighter. To use this foundation you screw the brush off the top and dip into the powder, it is a bit messy as the powder does spill over the edge but that is the only down side to this product. 9. MAC Mineralize Skinfinish Deep Dark Bronzing Powder. This is Quite Dark so you only need a little. 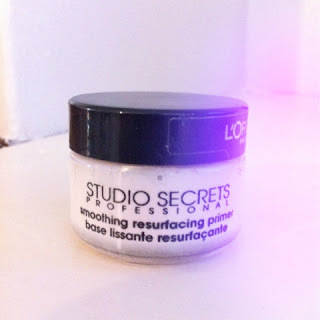 I use it to shade my cheek bones and to blend in my neck and chest. 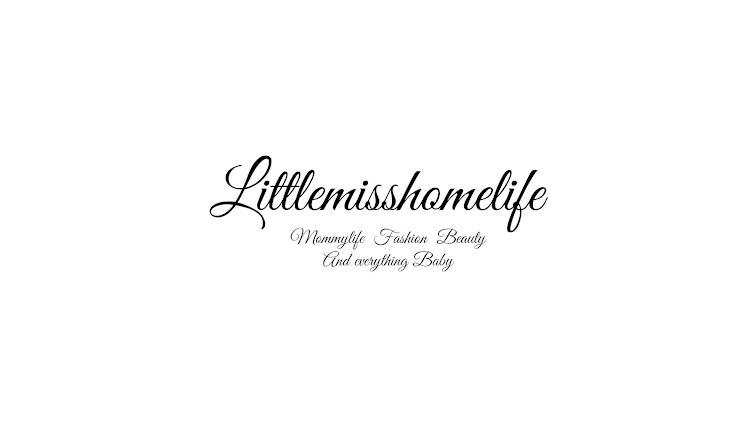 In the summer I use it on my shoulders and tops of my arms as it makes them look dewy and bronzed. 10. 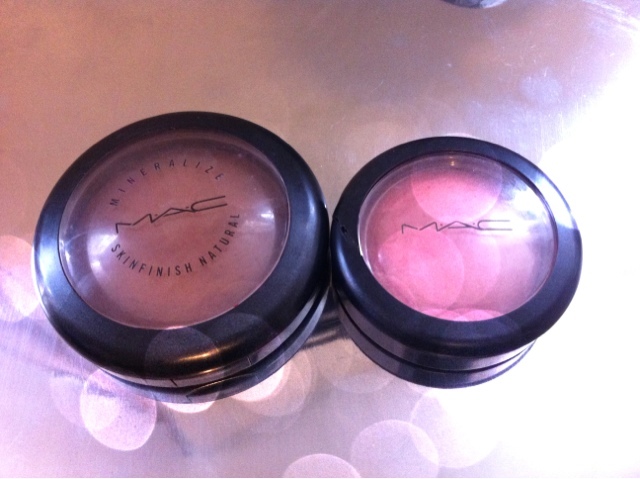 MAC Mineralize Blush Dainty. Natural Looking Blush However doesnt last as long as I would like but I have only just started using it so Im going to try applying a little more. 11. L'oreal Lash Architect 4D Mascara. 12. Bourjois Khol & Contour Eye Pencil Crayon. I love this eye liner Its nice and dark and stays on all day. 13. Natural Collection Crushed Walnut Eye shadow. I use this to shade my Eyebrows I find Eyeshadow is better for me than an eyebrow pencil. 14. Natural Collection duo Eyeshadow Mink/ Sable. These are nice and natural colours, I tend to wear this for work. 15. MAC Bronze A16 Eye shadow. I use this for underneath my lower eye lashes, in the corners of my eye and for any eye lid shading. It was the First Perfume My Hubby Bought for me 7 Years ago and I just Love it. It has an extotic scent but is quite exspensive So if theres a special occasion like a birthday of Christmas I will ask for it. This was my Wedding perfume hubby bought it for me as my Wedding perfume and I love it, It reminds me of our Wedding day and our Honeymoon. 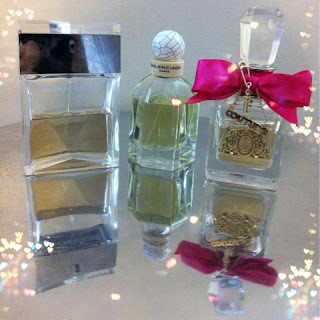 Juicy Couture viva La Juicy. This is Quite Sweet and fruity and reminds me of a summers day. I Hope you have enjoyed reading My Must Have's. Please feel free to Leave any comments or ask me any questions.